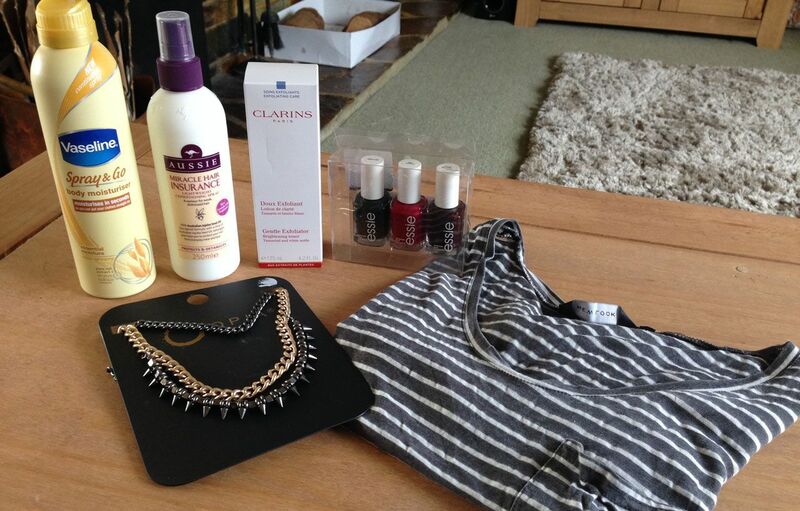 My latest haul was collected over a few days and includes boring but necessary things like tights and around 20 disposable shower caps (which I decided not to take photos of..) along with a sizeable missguided order and some very necessary beauty treatments or as I like to call them 'fixing products'. I picked this up on a whim purely because I needed a body moisturiser and this one was sat on a prominent display. 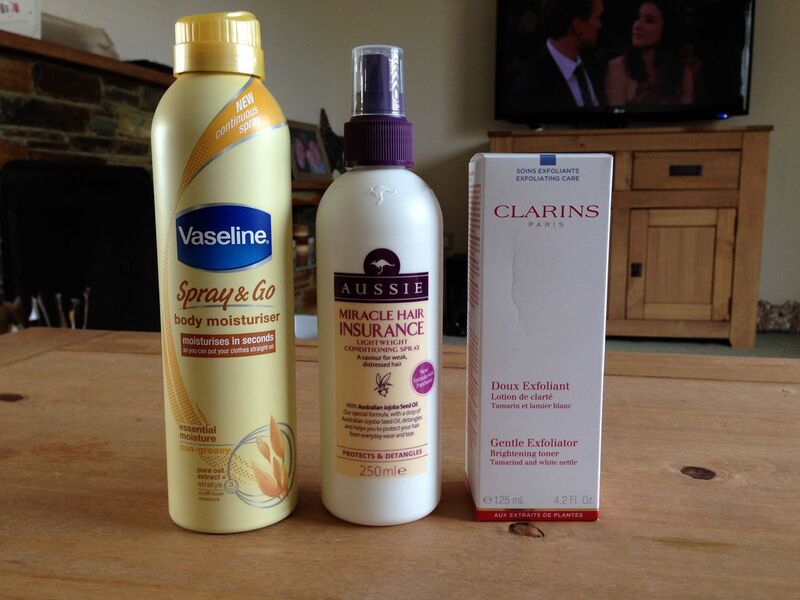 I've used Vaseline moisturisers before and have seen the new spray and go advertised so thought I'd give it a go! So far I like it, it's easy, convenient, smells good and although it doesn't dry as quickly as I'd hoped it doesn't leave any greasy marks. I've been buying the Aussie miracle hair insurance leave in conditioner for years and I love it so much that last time there was a 3 for £10 offer in boots I stocked up and bought 3! I've finally run out of those so needed to repurchase but I've noticed the packaging reads a little differently. It no longer names itself as leave in conditioner and mentions a new formula so I'm interested to see how it will compare. I'm pretty excited to own and try the clarins brightening exfoliator for a number of reasons, the main one being that I need to sort my face out and this one came highly recommended by a number of bloggers but it was Kate's review that sold me completely. I wanted something that will attempt to battle some discolouration, spots and blemishes and my generally awkward combination skin so this seems perfect, I love it so far. 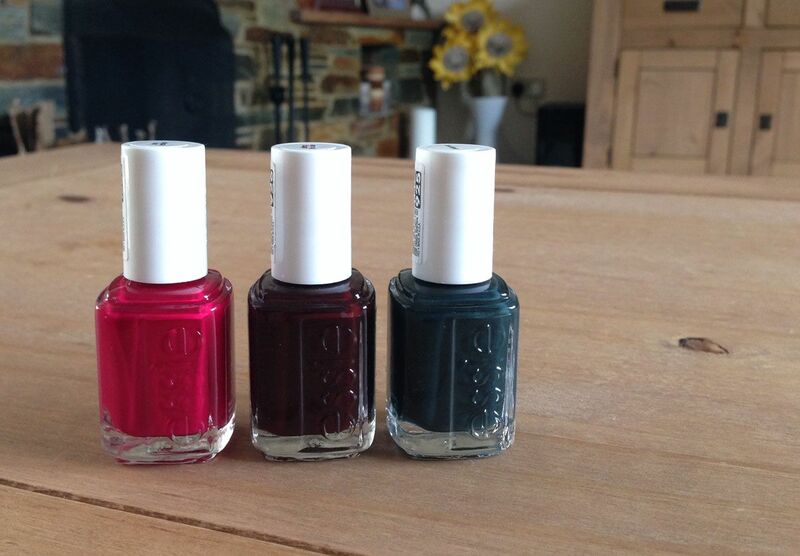 I found this three pack of Essie nail polishes in tk maxx for a bargain of £10. It's a shame they don't have the wide brush I love so much but for £10 i'm hardly going to argue. 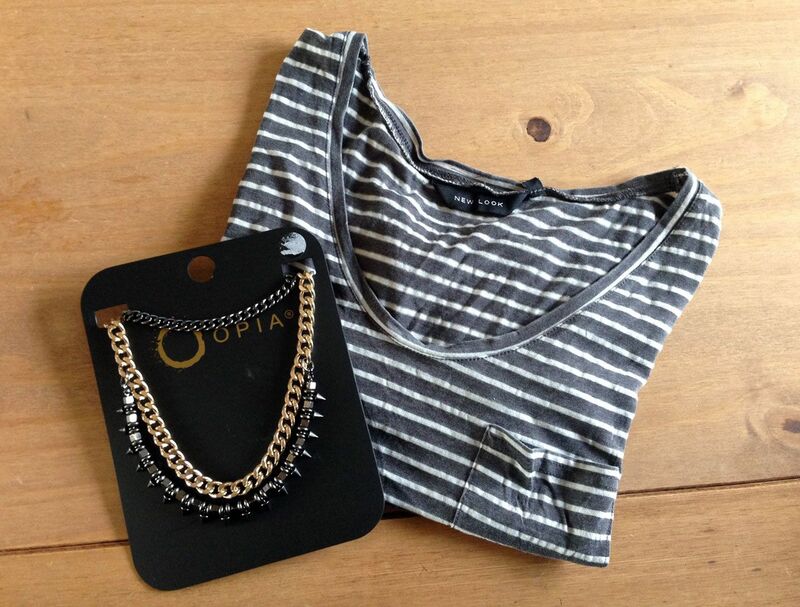 Whilst in Primark to buy the standard boring collection of tights a accidentally picked up this amazing mixed metal chain and spike necklace as well as a sneaky pack of tangfastic picked up at the checkout. 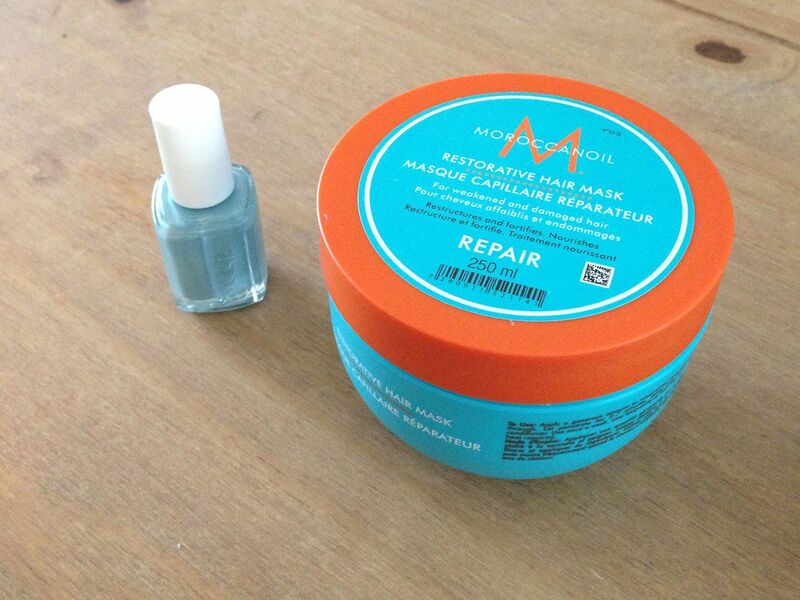 Following my hair treatment blog post I have purchased the Moroccan Oil restorative hair mask. 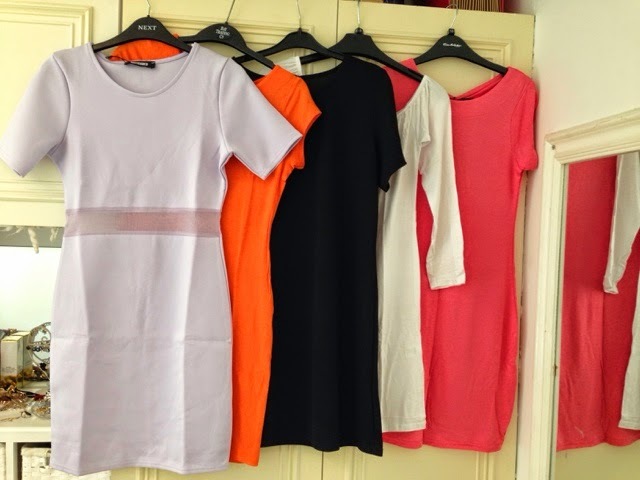 There are a few others I want to try too but I thought a restoring treatment would be a good start! Of course whilst making an order with feelunique it would have been rude not to by a nail polish of some sort and it just so happened to be another Essie polish .. :D I'm excited to try this one, though again, it doesn't have the wide brush which is a little disappointing.